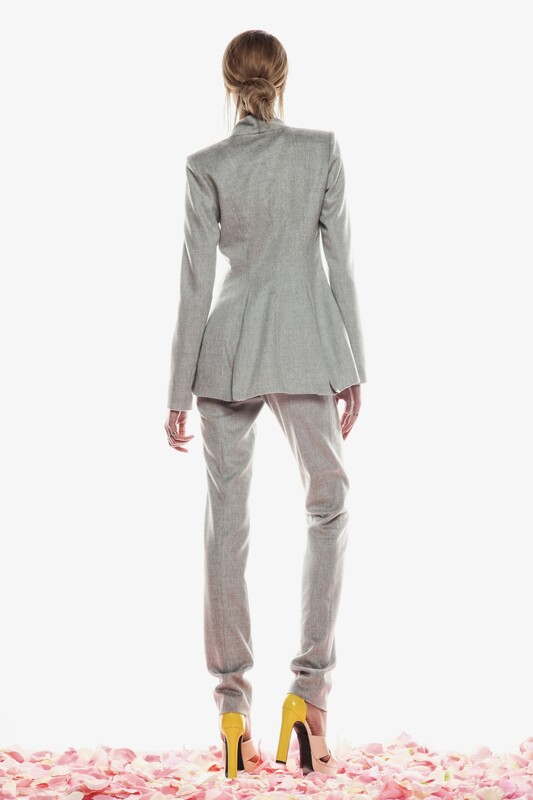 A grey jacket, fastened with a single hidden button (interior fastening). Made of high quality wool with a considerable addition of cashmere. The jacket is in light grey colour. A yellow belt is a small colour accent. The jacket is lined from the inside. The front has a smooth and characteristic line, which is a distinctive feature of the model. Available in different colours (contact us).